Thermo Scientific™ Nalgene™ Rapid-Flow™ filter units are most efficient for temporary storage purposes, given their easily removable upper unit filter membrane. The unique Nalgene Rapid-Flow membrane support system uses an evenly-spaced array of columns to provide greater membrane stability, which results in faster flow rates and higher throughput of fluids. Thermo Scientific™ Nalgene™ Rapid-Flow™ bottle top filters are recommended for solutions being stored longer than two weeks, given its leak-proof cap extends shelf life of filtered reagents by minimizing pH shift in the storage bottle. Nalgene bottle top filters have a built-in vacuum adapter and dust cover, which can be used with narrow or wide mouth receiver bottles. Thermo Scientific™ Nalgene™ syringe filters are built to meet your lab’s clarification and sterilization needs. Our filters are available in a variety of sizes and membranes that can be easily used for both sterile and non-sterile laboratory applications. Allow for easy funnel manipulation with the widely spaced outlets of the Thermo Scientific™ Nalgene™ vacuum manifold. This stable benchtop unit is made of high quality stainless steel and has three vacuum outlets each with leak-proof two-way valve and vent port. 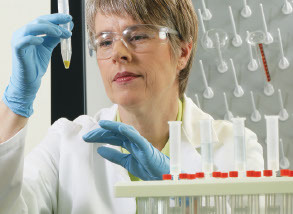 Smart Note: Does laboratory filtration of culture media affect cell growth?